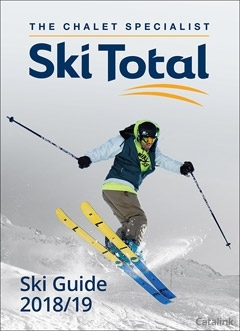 To order a printed copy of the Ski Total brochure, simply click the Request button below. The friendly camaraderie of a chalet makes a holiday with friends relaxed, convivial and stress–free. Ski Total's specialist knowledge, 30 years experience and attention to detail will ensure your visit to the slopes is one that none of you will ever forget. They give you a comfortable 'home from home', informal and relaxed, with great food and service – for many skiers, a Ski Total chalet is simply the only way to go for the perfect ski holiday. So join the skiing revolution and order the Ski Total brochure now for the best skiing there is! By pressing the Request Printed Brochure button you give consent to Ski Total (and their Data Processors for the specific purpose of delivering your literature) to send you their Brochure .